The Gold Medal is the highest award given by the SCMR to an individual for distinguished and extraordinary service to the field of Cardiovascular Magnetic Resonance and to the Society. The Board of Trustees have named Orlando Simonetti the 2019 SCMR Gold Medal Award recipient. As an inventor, his early endeavors led to the gold-standard techniques for cine imaging using SSFP and delayed enhancement using inversion recovery pulse sequences to visualize myocardial delayed enhancement patterns. His seminal paper on the inversion recovery LGE is one of the 100 most-cited articles in medical imaging literature. As a mentor, Lon has helped sculpt the careers of several trainees from different backgrounds. His other endeavors and achievements as teacher/mentor include the multiple invited educational talks on CMR technologies by several societies and has been voted “best-teacher” by the audience multiple times. He has authored several invited review articles that have since been highly cited. Dr. Simonetti is a strong believer in collaboration among cardiologists, radiologists, physicists,engineers, and also across academia and industry. His advocacy for CMR in numerous societies spanning the breadth of technological and clinical disciplines has been pivotal in the rapid progress of and a sustained momentum in the continuous maturity of CMR technology, clinical research and adoption of CMR to benefit patients. He was awarded the Fellow of the ISMRM in 2010, and Fellow of AHA in 2012 in recognition of his efforts to advance and translate MRI technology in the field of cardiovascular medicine. Lon has harnessed his leadership skills to the service of SCMR in various roles such as Education committee’s Co-Chair, as International Outreach Co-Chair, Annual Meeting Program Committee,Publications committee, Finance committee, Newsletter Editor, Editorial Board of JCMR, Board of Trustees and Executive Committee, and as President in 2014. In 2016, SCMR Executive Committee recognized Dr. Simonetti’s services and potential to take CMR to the next level by selecting him as the first CEO of SCMR. In this role, Dr. Simonetti has been tirelessly focusing on strategic issues and initiatives to advance the field of CMR and achieve the goals of societies, the most prominent being the initiative to improve CMR reimbursements, a move that, if successful, will make CMR accessible to thousands of patients. The Board of Trustees of the Society for Cardiovascular Magnetic Resonance is pleased to announce the 2018 Gold Medal Award recipient is Andrew E Arai, MD, FAHA, Chief, Advanced Cardiovascular Imaging Group at National Heart, Lung and Blood Institute, National Institutes of Health. This award is presented annually by the SCMR for outstanding achievement in the field of CMR as well as exemplary service to the Society. Dr. Arai has been deeply involved in SCMR for more than a decade. He began Board service in 2006, served as Program Chairman for the 13th Annual Meeting in 2010, and ultimately was elected President in 2012, where he lead the Society through a challenging time period, while leaving it substantially for the better. Dr. Arai has also been instrumental in furthering CMR recognition by serving on leadership positions within the American College of Cardiology, American Heart Association, and the Cardiac MRI Study Group of the International Society of Magnetic Resonance in Medicine. Dr. Arai has also been a distinguished leader developing new MRI techniques for cardiac imaging including determination of extracellular volume fraction and quantitative myocardial perfusion, and bringing recognition of the clinical applications of CMR across the spectrum of disease processes including left ventricular remodeling, myocardial ischemia and infarction, and the use of CMR in evaluating patients with chest pain presenting to the emergency department. Dr. Arai and his team have been robust leaders and contributors to multiple, large, multicenter trials that have been critical in advancing the broad, clinical use of CMR techniques, and elevating CMR’s diagnostic and prognostic role. Finally, Dr. Arai has a strong track record of mentoring a large number of CMR clinician researchers, many of whom have gone on to establish highly productive and widely recognized careers and CMR centers of their own. The Board of Trustees of the Society for Cardiovascular Magnetic Resonance is pleased to announce the 2017 Gold Medal Award recipient is Nathaniel Reichek MD, FACC, FAHA, Professor of Medicine and Biomedical Engineering at Stony Brook University, SUNY. This award is presented annually by the SCMR for outstanding achievement in the field of CMR as well as exemplary service to the Society. Dr. Reichek has contributed greatly to research in CMR for three decades. He was one of the very first cardiac imagers, along with Gerry Pohost and Charley Higgins, to delve into the field in its very earliest days. He has been an expert in cardiac MRI since 1983, when technology was still in its infancy. His legacy, one of many, is his priority to fostering positive, collaborative relationships with radiologists mentoring fellows to become leaders in the field. Dr. Reichek is a founding member of our society and for many years he and the SCMR have been practically synonymous. He served as our 3rd President and led SCMR during a time when it was still finding its way. He also held numerous other roles in the society, including Chair of the Clinical Trials Committee, the Nominating Committee, the U.S. Reimbursement Subcommittee, the Publications Committee, and member of the US Chapter Executive Committee and the Mentorship Program. Reichek has also been a fixture within multiple international cardiology societies including the AHA and ACC. He has authored 180 full peer-reviewed publications, many in the highest impact cardiovascular journals, as well as 68 reviews and editorials. Dr. Nathaniel Reichek is an undeniable leader in the cardiovascular research community, but it can be argued that Dr. Reichek’s greatest contribution to the field of CMR has been his mentorship. Having mentored two past presidents and a long list of imaging trainees and junior faculty, this list reads like a who’s who of cardiac imaging. The Board of Trustees of the Society for Cardiovascular Magnetic Resonance (SCMR) is pleased to announce the 2016 Gold Medal Award recipients are Joao A.C. Lima, MD, MBA, Professor of Medicine, Radiology and Epidemiologyat Johns Hopkins University and Eike Nagel, MD, PhD, Director of the Institute for Experimental and Translational Cardiovascular Imaging, DZHK Centre for Cardiovascular Imaging, at Goethe University Frankfurt. The award is presented annually by the SCMR for outstanding achievement in the field of CMR as well as exemplary service to the Society. Dr. Lima is very well known to the field of CMR, as a leader over the past 25 years. He has a strong history of service to the SCMR, beginning with the very first organizational meeting hosted by Gerald Pohost, extending through his service on the SCMR Board of Trustees, and including his tireless attendance and presentations at most if not all of the SCMR’s scientific sessions. Dr. Lima has been a major contributor to the field. In particular among his research contributions over the past two and half decades, marked by nearly 160 peer-reviewed papers, those on myocardial function, late gadolinium enhancement, LV contractile function, and delayed enhancement imaging and his many contributions from the 10-year, 7,000-patient Multi-Ethnic Study of Atherosclerosis (MESA) study have been central to advances in our field. This landmark epidemiology study has published over 1,000 papers over the past 15 years. The CMR data has been the component of that study which has produced the most publications of any single sub-unit within MESA. In addition, Dr. Lima has authored 39 high‐level editorials and guidelines directly related to CMR. Perhaps most importantly, Dr. Lima has helped mentor and guide numerous others in the field. 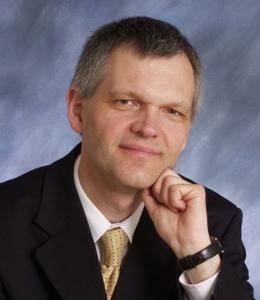 Dr. Eike Nagel has been deeply involved in SCMR for over two decades, including serving as President from 2008-2009. He has also been instrumental in furthering CMR recognition by holding leadership positions within the American College of Cardiology, American Heart Association, European Society of Cardiology, British Society of Cardiovascular Magnetic Resonance, German Society of Cardiovascular Magnetic Resonance, and as a Founding Member of the Asian Society for Cardiovascular Imaging. From a scientific perspective, Dr. Nagel has been a distinguished leader bringing recognition of the clinical applications of CMR across the spectrum of disease entities including left ventricular remodeling, viability, atherosclerosis, quantitative myocardial perfusion, and dobutamine stress ischemia CMR. Most recently, Dr. Nagel has been the Global Chief Investigator of MR-INFORM, a large international randomized controlled outcome study assessing whether patients with stable chest pain can be guided noninvasively by CMR perfusion rather than invasive angiography supported by fractional flow reserve. These efforts have been critical in elevating CMR’s diagnostic and prognostic role. Finally, Dr.Nagel has also been at the forefront of training/mentoring a large number of CMR clinician researchers, as well as establishing multiple training programs throughout the world. It should be noted that many of his trainees have gone on to establish highly productive and widely recognized CMR centers of their own. The SCMR is honored to recognize both individuals for their invaluable contributions to CMR and to the Society. Each has contributed in their own way, but all have made an indelible mark on the field deserving of the highest recognition. 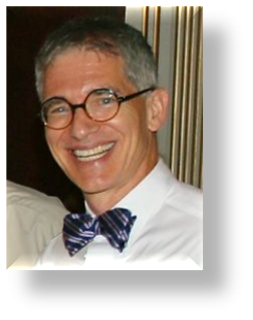 The Board of Trustees of the Society for Cardiovascular Magnetic Resonance (SCMR) is pleased to announce that the Society’s 2015 Gold Medal Awards will be presented to Christopher M. Kramer, MD, Raymond J. Kim, MD and Robert M. Judd, PhD on February 7, 2015 during the SCMR/EuroCMR Joint Scientific Sessions in Nice, France. The award is presented annually by the SCMR for outstanding achievement in the field of Cardiovascular Magnetic Resonance (CMR) and for exemplary service to the Society. Drs. Kramer, Kim and Judd have excelled in these areas throughout their careers. 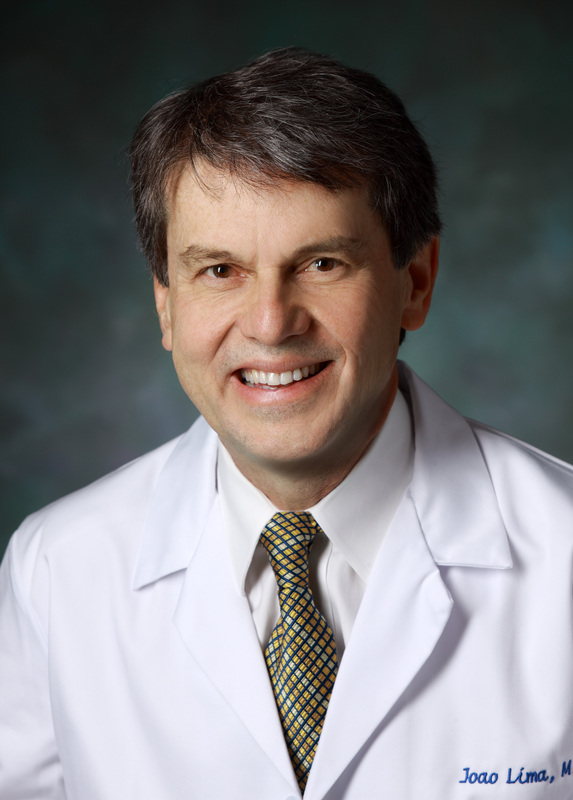 Dr. Christopher Kramer, Ruth C. Heede Professor of Cardiology and Professor of Radiology at the University of Virginia Health System, has been a focused, devoted and strong advocate of CMR throughout his entire career. He provided more than a decade of strong leadership to our Society, including serving as its President in 2009-10. Before that, he served as the Program Chair from 2004-06, and as the Chair for the Task Force on Standardized Protocols, leading the publication of the document that has been incredibly important at setting standards for how clinical CMR is performed around the world. Perhaps his most significant contribution to the SCMR has been his representation of the Society in the cardiology community and other societies. He has been the primary national advocate to have the SCMR take its proper equal place among the 4 major imaging societies (echo, nuclear, CT) in the greater cardiovascular medicine community; this effort included fostering the recognition of CMR within the American College of Cardiology by serving as Chair of the Imaging Council and the CMR Task Force for COCATS, as well as Vice-Chair of the Appropriate Use Criteria Task Force. Dr. Kramer has also been a distinguished leader in the scientific advancement and expansion of the clinical applications of CMR. He made outstanding contributions to a wide range of topics, including post-MI left ventricular remodeling, myocardial viability, quantitative myocardial perfusion and hypertrophic cardiomyopathy. He is currently Co-PI of the HCMR Trial, a multicenter, international, NHLBI-sponsored effort that is expected to increase our understanding of hypertrophic cardiomyopathy, as well as to elevate CMR’s diagnostic and prognostic role. Christopher Kramer has also been at the forefront of training, mentoring a large number of CMR clinician researchers through an NIH/NIBIB Training Grant he has successfully held since 2005. Many of his trainees have gone on to establish highly productive and widely recognized CMR centers of their own. Dr. Kramer has given many years of highly distinguished and extraordinary service to the field of Cardiovascular Magnetic Resonance and to the Society – and will no doubt continue to do so. Also receiving the SCMR Gold Medal Award in 2015 are Raymond J. Kim, MD, and Robert M. Judd, PhD, Professors of Medicine and Radiology, and Co-Directors of the Cardiac MRI Center at the Duke University Medical Center. While Drs. Kim and Judd are each receiving this highest recognition by the SCMR based on their individual merits, the exceptional scientific achievements that have resulted from their longstanding partnership exemplifies the power of the physician scientist and basic scientist pairing to advance the field of medicine. Together, Judd and Kim led the development and validation of the Late Gadolinium Enhancement (LGE) technique; this landmark contribution had a transformative effect upon the field of CMR as it provided direct, in vivo visualization of myocardial necrosis and fibrosis with a resolution and clarity never seen before. Their body of scientific work surrounding this technique ranges from exquisite validation in animal models to the demonstration of its value in guiding therapy; this includes some of the most important and highly cited publications in the field of medical imaging. Their efforts have resulted in the clinical use of CMR in patients with a range of diseases going beyond myocardial infarction to include many forms of non-ischemic cardiomyopathies. Late Gadolinium Enhancement is viewed by many as the most unique and practically useful of any CMR techniques and its development and validation stands as scientific and clinical translational research of the highest order; based on this work alone, Drs. Kim and Judd are highly deserving of the SCMR Gold Medal Award. Dr. Raymond J. Kim has served SCMR in a variety of roles: on the Board of Trustees from 2002-2006, as Membership Committee Chair during the same period, and on the Strategic Planning Committee from 2005-2006. He was a member of the SCMR Scientific Program Committee in 2007 and 2008, and has chaired numerous sessions at the Annual Scientific Sessions. Dr. Kim has also played an important role in the development of SCMR guidelines for training in CMR in 2007, as a key author in the task force on standardization of CMR protocols in 2007 and 2013, and on the committee that focused on post-processing in CMR in 2013. He served on the JCMR editorial board from 2001-2007. He has also served the field through his participation in the development of training guidelines and appropriateness criteria for CMR at the American College of Cardiology. Dr. Kim is a highly successful mentor of trainees and students, many of whom have gone on to establish productive CMR programs around the world. These highly accomplished individuals are part of the legacy created by Dr. Raymond J. Kim. From his earliest days Dr. Robert M. Judd has had a profound interest in, and has made his career studying, the application of MRI for the evaluation of cardiac disease. His studies into the mechanisms and kinetics of contrast enhancement of myocardial infarction laid the groundwork for the subsequent clinical investigations and rapid translation of the LGE technique into widespread clinical practice. Dr. Judd’s more recent efforts to develop a web-based image viewing and distribution system have resulted in an important tool not only in the clinical practice of CMR, but also as a means to enable multi-center research collaboration and education. The SCMR has also benefited from Dr. Judd’s participation on the Scientific Program Committee, and as chair and invited lecturer at numerous sessions of the annual meeting. He served on the Editorial Board of the JCMR and was an Assistant Editor from 2004-2007. Dr. Judd has also mentored numerous trainees throughout his career, and has served as an advocate for CMR through his many invited lectures and contributions to the literature. Dr. Robert M. Judd is a scientist of the highest order whose career has been entirely devoted to CMR. His clarity of thought and his warm relationships with others have led to successful collaborations that have had a profound impact on the field of CMR that continues to this day. The SCMR is honored to recognize these three outstanding individuals for their invaluable contributions to CMR and to the Society. Each has contributed in their own way, but all have made an indelible mark on the field deserving of the highest recognition. The Board of Trustees of the Society for Cardiovascular Magnetic Resonance (SCMR) is pleased to announce that Warren J. Manning, MD, Section Chief of Non-invasive Cardiac Imaging and Professor of Medicine and Radiology, Harvard Medical School, is the 2014 recipient of the SCMR Gold Medal Award.The award is presented annually by the SCMR for outstanding achievement in the field of CMR as well as exemplary service to the Society. Dr. Manning’s accomplishments in the field and his contributions to SCMR embody the attributes that this award was designed to recognize. Dr. Warren Manning was one of the first advocates of CMR, early in his career he took a leading role in propelling a relatively immature technology into a major clinical role in studying heart structure and function. He helped to pioneer the first clinically useful MR angiograms of the coronary arteries. This groundbreaking work was published in the New England Journal of Medicine as well as other leading journals. Following his early pioneering efforts, Dr. Manning has continued to extend the clinical application of cardiac MR into new territory. His MR research has had great breadth, ranging from epidemiologic studies of contrast agents to detect coronary thrombosis or enhancement. Dr. Manning has authored more than 280 original papers and over 100 review articles including book chapters and editorials, and edited one of the first textbooks on cardiovascular MRI. Dr. Manning’s dedication to CMR is manifest in his service to the SCMR and the cardiovascular imaging community. He has served the SCMR since being a founding member and inaugural membership chairman, holding positions of Trustee through President, and currently serves as Deputy Editor in Chief of the Society’s Journal of Cardiovascular Magnetic Resonance (JCMR). He also serves on other editorial boards, writing groups, and national/international committees focused on cardiovascular imaging. His contributions have been multiplied through accomplishments of the numerous residents, clinical fellows and basic scientists he has trained over the years. Many of these individuals have become notable in their own right. Dr. Manning is a unique person whose kindness, integrity and exceptional talent to mentor and encourage young clinicians and scientists have impacted many. His willingness to collaborate across disciplines has helped to advance the field. SCMR is proud to recognize Dr. Manning with its most prestigious award. 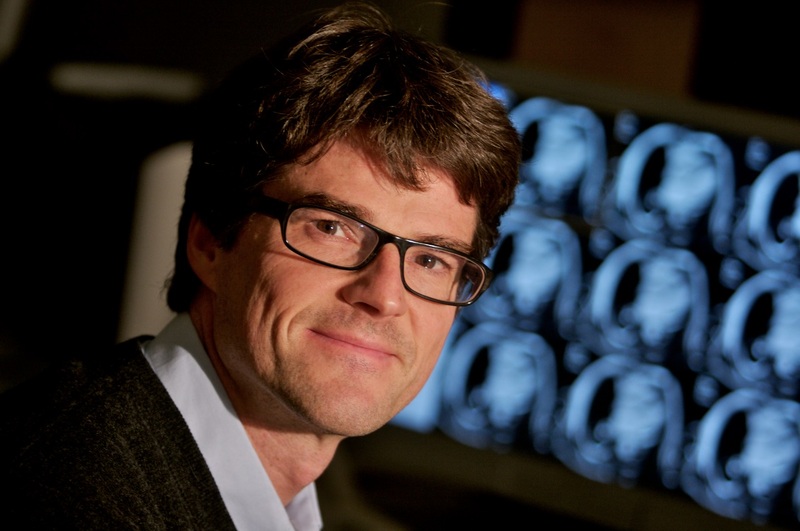 The Board of Trustees of the Society for Cardiovascular Magnetic Resonance (SCMR) is pleased to announce Stefan Neubauer, MD, Professor of Cardiovascular Medicine at the University of Oxford, as the 2013 recipient of the SCMR Gold Medal Award. The award is presented annually by the SCMR for outstanding achievement in the field of Cardiovascular Magnetic Resonance (CMR) as well as exemplary service to the Society. Dr. Neubauer has excelled in both throughout his distinguished career. Professor Stefan Neubauer began his research in CMR almost 30 years ago, and his work has arguably been the broadest of any investigator in this field. He has pioneered the development and application of CMR methods in both the clinical and experimental settings. The scope of his research has ranged from CMR imaging to spectroscopy, from mice to patients. He has published over 300 peer reviewed manuscripts, with one of his papers – “The failing heart – an engine out of fuel” in the New England Journal of Medicine – cited by his peers over 500 times. He has multiple seminal papers, all cited over 200 times, on a range of myocardial diseases and novel CMR methods to enhance their evaluation. Dr. Neubauer has dedicated immense time and energy to the SCMR. As President of the Society from 2006-2008, he skillfully guided its continued focus on the improvement and growth of CMR and instituted many of the initiatives to standardize clinical CMR that are in practice today. He was an SCMR board member from 1998-2009 and Program Chair for the highly successful 2004 meeting in Barcelona. He has been on the Editorial Board of the Journal of Cardiovascular Magnetic Resonance since its inception and is presently an Associate Editor. Dr. Neubauer continues his outstanding research as Professor of Cardiovascular Medicine and Clinical Director of the Centre for CMR Research at Oxford where he runs one of the world’s leading clinical and investigational programs. His research has been honored as the Paul Dudley White lecturer at the American Heart Association and the Sir Thomas Lewis Lecturer at the British Cardiovascular Society. Just as important, Dr. Neubauer has a noteworthy track record as a teacher and mentor. Many of his innumerable students and fellows have won young investigator awards and gone on to distinguished careers in their own right. Dr. Neubauer’s accomplishments, in both his dedication to the SCMR and his extensive research career in the field of CMR, are deserving of the highest commendation of the Society, and we congratulate him as the recipient of the 2013 SCMR Gold Medal Award. Founded in 1994, SCMR is a professional association whose vision is to be the leading international representative and advocate for all physicians, scientists, and technologists working in CMR to improve patient outcomes through excellence in education, training, standards, research and development. SCMR’s membership includes professionals from around the globe. The Board of Trustees of the Society for Cardiovascular Magnetic Resonance (SCMR) is pleased to announce Dr. Dudley J. Pennell, Professor of Cardiology and Director of the Cardiovascular Magnetic Resonance (CMR) Unit at Royal Brompton Hospital in London, as this year’s recipient of the Society’s Gold Medal Award. The award is presented annually by the SCMR for outstanding achievement in the field of CMR as well as exemplary service to the Society. Dr. Pennell has clearly excelled in both regards. Professor Dudley J. Pennell has specialized in CMR for more than 20 years and during that time has been responsible for significant changes in the care of people with cardiomyopathies (heart muscle disease) and thalassemia major. His research into targeting the genetic causes of cardiomyopathy, and identifying risk factors for death and illness in cardiomyopathy using CMR, received global media attention in 2010. New techniques introduced by Professor Pennell have been instrumental in reducing the cardiac mortality rate of thalassemia major patients to near zero. 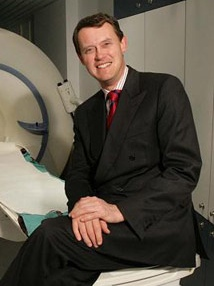 Professor Pennell has been director of the CMR unit at Royal Brompton for the past 15 years. The unit, which is believed to be the largest CMR center in the world, now performs 6,500 procedures per year. On receiving the award, Professor Pennell said: “I am honoured to receive this award from the Society for Cardiovascular Magnetic Resonance and immensely proud of my work with them over the years. It has been my privilege to lead the development of Royal Brompton’s CMR unit and to have had an impact on providing better treatments and life outcomes for patients with debilitating and often life-threatening heart conditions”. Professor Pennell has published 350 research papers in peer reviewed journals and has given in excess of 750 invited lectures around the world. He has been Editor-in-Chief of the Journal of Cardiovascular Magnetic Resonance for the past five years, raising its impact factor to 4.33. In summary, Dr. Pennell’s achievements both to the advancement of the field of CMR and to the SCMR are truly outstanding and commendable, and we congratulate him as the recipient of this highest honor awarded by the Society. Dr. Charles Higgins, MD, is a Professor of Radiology in the Department of Radiology and Biomedical Imaging at the University of California, San Francisco. He retired January 2012 after over 27 years in the Department of Radiology, but continues to contribute his clinical, research, and teaching skills as a Professor Emeritus. Dr. Higgins obtained his medical degree from Jefferson Medical College in Philadelphia. He completed a residency from the University of California, Los Angeles and a residency from the University of California, San Diego, followed by a fellowship in Cardiovascular Radiology from Stanford University Hospital, California. Dr. Charles Higgins is an expert in cardiovascular magnetic resonance imaging, congenital heart disease, ischemic heart disease, acquired heart disease, thoracic aortic disease, and contrast media. He has laboratory research on interventional MRI, which is developing MR guided techniques for transcatheter delivery of aortic and pulmonary valves and aortic stents in pigs and dogs. Dr. Higgins has delivered 36 titled lectureships in the Unites States and abroad. He is and has been a member of the editorial boards of 14 scientific journals, and he is currently a member of Circulation, the American Journal of Cardiology, the Journal of American College of Cardiology, the Journal of Magnetic Resonance Imaging, and the Journal of Cardiovascular MR. Dr. Higgins has published 746 articles, and he has written 126 book chapters and 26 books. Dr. Gerald Pohost's distinguished medical career spans more than three decades, with numerous clinical, academic and research positions. He moved to Los Angeles in 2001 to serve as chief of cardiovascular medicine and professor of medicine at USC's Keck School of Medicine. He developed a program in the diagnosis of heart disease in women using magnetic resonance imaging (MRI) and magnetic resonance spectroscopy (MRS). Prior to USC, Pohost spent 18 years at the University of Alabama at Birmingham (UAB), where he developed one of the most prominent cardiovascular programs in the country. At UAB, he held the positions of professor of medicine and radiology and director of the Division of Cardiovascular Disease and the Center for Magnetic Resonance Research and Development, and was responsible for building the first center focused on the application of MRI for cardiovascular disease. Dr. Pohost has been involved as a member of the executive committee in the WISE (Women's Ischemia Syndrome Evaluation) study, an NIH-sponsored nationwide, long-term and ongoing study addressing innovative strategies to diagnose heart disease in women. In addition, he has the Principal investigator for the Cardiovascular Magnetic Resonance Imaging Core Laboratory for the Surgical Treatment of Ischemic Heart failure Study (STICH).